who was very generous with his time and showed me around their two room headquarters. 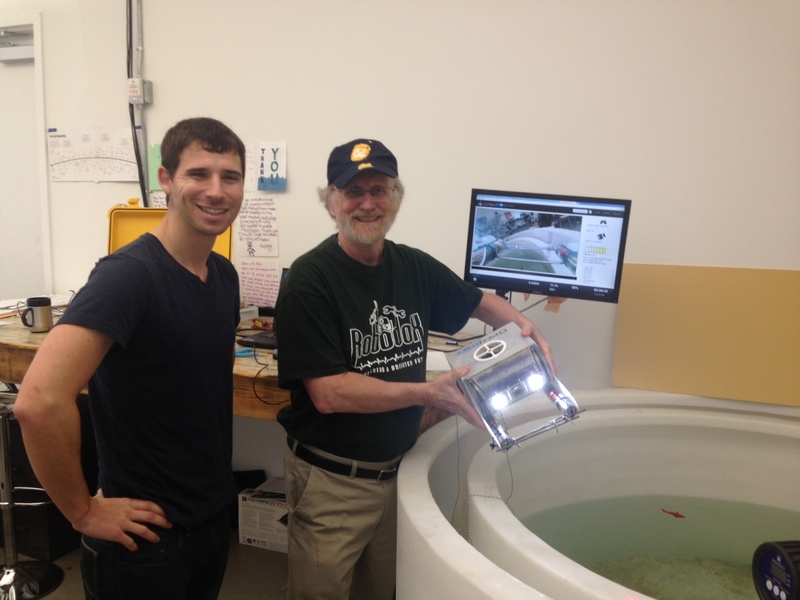 The picture shows me holding the 2.5 OpenROV with its lasers shinning above the test tank. Eric is on my right. In the background is the video image being sent in real time HD to the LCD screen. The lasers serve to give a measure of distance the ROV is from an object by the spacing between them on the LCD screen. I didn’t get a picture of their Laser Cutter and was surprised that such a huge machine was only $10k. Eric also said that 2.6 OpenROV design is moving along. It has a few structural updates and a larger wider O ring seal on the electronics tube. I was able to pick up some equipment that we need to complete our Granada Hills Charter High School Robodox OpenROV 2.5 build . The build will be given to Algalita research foundation for use on their upcoming 2014 summer expedition. It will be used to image plastic pollution in the Pacific Gyre. 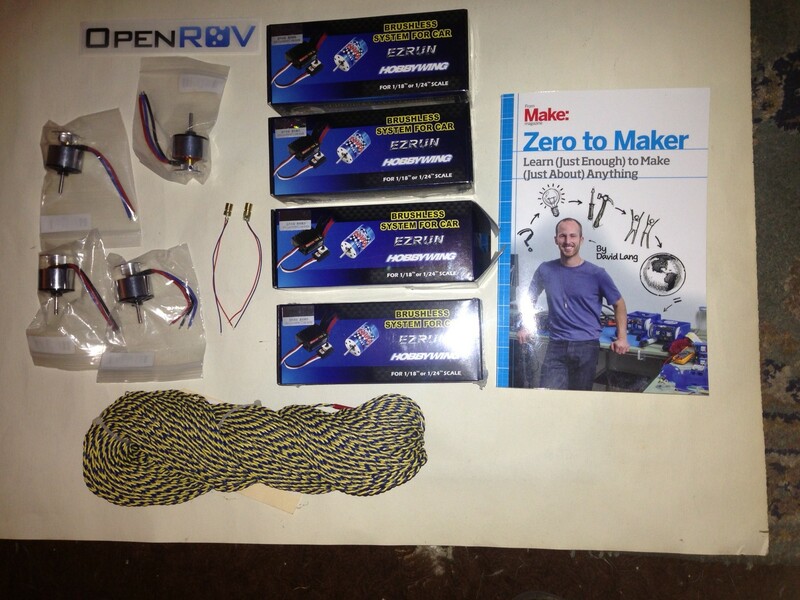 Shown below are the motors, esc’s , two small lasers, the 100m tether and of course Dave’s Zero to Maker book which Eric donated to our cause. (Thanks again Eric). BTW, the Robodox team was selected to participate in Algalita’s 2014 Youth Summit. This is quite an honor and congratulations are in order. Here was their application video. 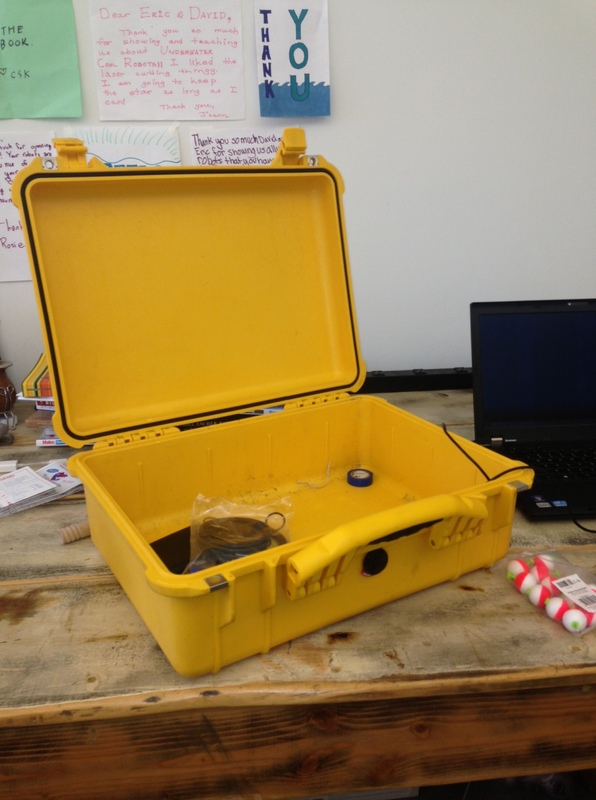 Here is the Pelican case that can carry two OpenROV’s on trips. We might purchase one of these …however they run around $150. I brought a former student of mine , Ramin, who is attending UCB to show him around. I used to attend UCB and had fun seeing some old haunts. Ramin was captain of our Grant Vex team a few years back and has some interest in robotics. However, he is involved with cutting edge research now on the use of Graphene. 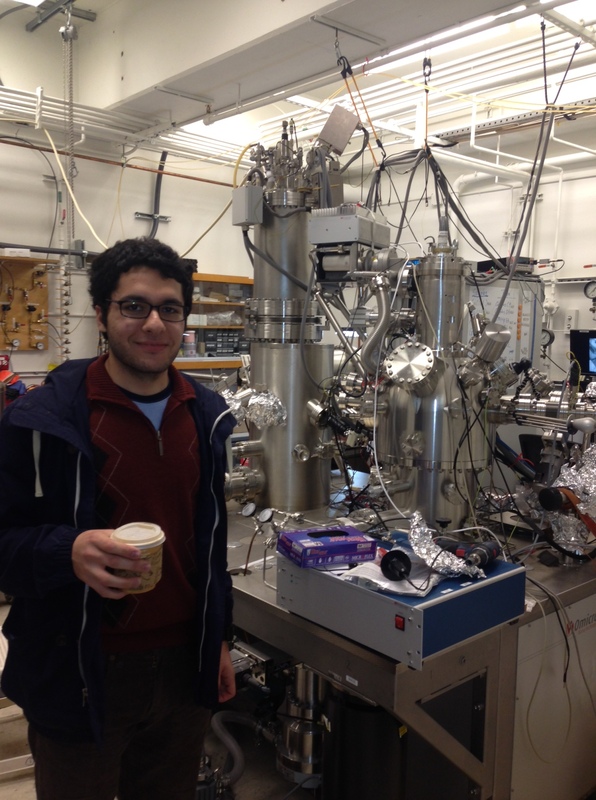 Here he is in the STM lab where he works. This entry was posted on Tuesday, December 24th, 2013 at 9:19 pm and is filed under Uncategorized. You can follow any responses to this entry through the RSS 2.0 feed. You can leave a response, or trackback from your own site.